Sunny skies and no wind greeted runners in Saturday morning's Lake Chelan Shore to Shore Marathon, Half-Marathon and 10K. MANSON — Good reviews were aplenty Saturday during the 13th-annual Lake Chelan Shore to Shore Marathon, Half-Marathon and 10K. The nearly 600 participants spoke glowingly of the late summer weather and scenery and of the course set-up and support, not to mention the relentless spirit of their fellow runners and walkers. 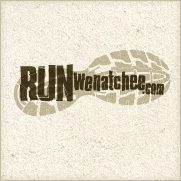 Race director Joel Rhyner said organizing group RunWenatchee beefed up aid stations, and added more volunteers and traffic control measures along the course this year. The event attracted a record number of marathoners and half-marathoners. The weather — temperatures ranged from the low-60s to the low-70s during the bulk of the race — also left many runners smiling and later had some taking a dip in the lake at Manson Bay Park. 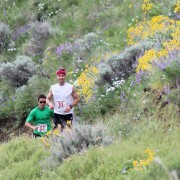 The finisher’s beer garden, hosted by presenting sponsor Lake Chelan Chamber, also didn’t hurt. Others winners besides Lee included Sarah Getty of Des Moines in the women’s marathon (time of 3:12:46); Peter Harrison of Seattle in the men’s half-marathon (1:14:06); Rachel Leftwich of Seattle in the women’s half-marathon (1:32:47); Garrett Berg of Kenai, Alaska, in the men’s 10K (40:34); and Karen Weber of Wenatchee in the women’s 10K (45:54). Runner’s World magazine has described Shore to Shore as one of the most scenic running events in the entire country. The two longest races begin on the south shore of the lake — the 26.2-mile marathon just west of Field’s Point Landing and the 13.1-mile half-marathon west of Pat & Mike’s store. The 10K starts on the north shore near the Chelan Shore development. All three races finish on the lake’s north shore on Pedoi Street in Manson. Lee, who was using Lake Chelan as a tune-up to the Noble Canyon 50K coming up later this month near San Diego, said his plan going in was to take it easy during the early stages of the race. But he found himself in the lead at the beginning and decided to push it in the middle sections, before cruising to a 17-minute win over Tim Slesk of Bellingham (3:10:37). “There was nothing too extreme on the course, just enough (hills) to keep it interesting,” Lee said. 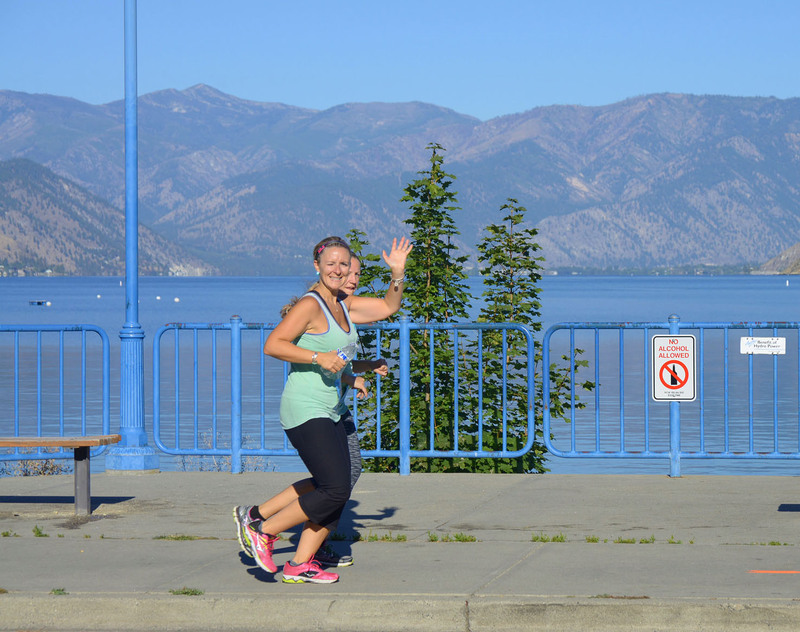 For Getty, it was her first opportunity to run Lake Chelan and she came away impressed. 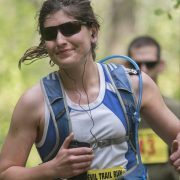 It was the 13th marathon of her career, which includes a second-place finish in the Seattle Rock ‘n’ Roll Marathon this past June. Cordelie Witt of Seattle captured second in the women’s marathon with a time of 3:24:39. Leftwich, who ran four years of cross-country at Chatham University in Pittsburgh, withstood a nasty spill at the half-marathon course’s 7-mile mark to hold off Jen Gallant of Bellingham (1:33:58) and Nancy Kintner-Meyer of the Tri-Cities (1:36:27). Leftwich wasn’t sure what she tripped over but it left her with two bloody knees and scrapes. “After years of cross-country, I’m use to getting beat up a little,” she said with a chuckle. Seattle’s Harrison won the men’s half-marathon over Wenatchee’s Doug Wood (1:31:37) and Ellensburg’s Brian Carroll (1:31:44). His time (1:14:06) was the fastest Shore to Shore Half in the event’s history. In 2003, Tony Williams of Seattle was clocked in 1:16:19 on a different course. Harrison, who won the Horse Lake Half-Marathon Trail Run near Wenatchee in May, said he cramped up during his run but was otherwise pleased with how he performed. Wenatchee’s Weber easily won the women’s 10K, covering the 6.2-mile course nearly four minutes faster than runner-up Heather Fox of Chelan. It was Weber’s second appearance at Shore to Shore. She also won the 10K in 2011 in a time of 49:45. For men’s 10K winner Berg, it was the first time he’d laid eyes on the world-famous lake. He was in the midst of moving his sister by vehicle from Minnesota to Alaska when he and his family stopped at the lake for a couple days. His dad, Gunnar Berg, also ran in Shore to Shore. “The course was pretty good. Once the race started I was in front of everyone,” said Berg, who was trailed to the finish line by Wenatchee’s Brian Vickery (45:19) and Wenatchee’s Jason DePue (46:10).